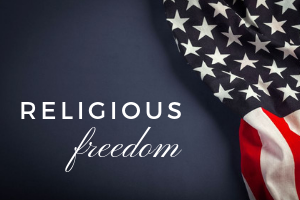 Another action from the federal government in defense of religious freedom! The Trump Administration announced two final rules last week that extended religious liberty and conscience protections to Americans who object—based on conscience or religious grounds—to an Obama Administration requirement to provide health insurance that covers contraception, including drugs or devices that induce abortion. The rules had been issued as interim rules in October of 2017. According to a Fact Sheet on the U.S. Department of Health and Human Services (HHS) website, the first rule “provides an exemption from the contraceptive coverage mandate to entities and individuals that object to services covered by the mandate on the basis of sincerely held religious beliefs.” This includes abortion-inducing drugs and services. The second rule allows for a similar exemption based on “non-religious moral convictions” for nonprofit organizations, small businesses and individuals. The issue with the rules related to the Obama Administration’s interpretation of the Affordable Care Act. In 2011, the U.S. Departments of Health and Human Services, Treasury, and Labor issued “regulations and guidance” that required contraceptive coverage and offered only “a narrow exemption for churches, religious orders, and integrated auxiliaries (organizations with financial support primarily from churches),” as well as a limited accommodation for religious nonprofits. Only after the Supreme Court’s decision in Hobby Lobby did the Obama Administration establish an accommodation for closely held for-profit organizations “that had religious objections to covering some or all contraceptives.” Under that accommodation, however, “the entity’s insurer or third party administrator was responsible for providing contraceptive services to the entity’s plan participants and beneficiaries.” This continued to be an unacceptable solution for some individuals and employers with religious and conscience objections.